Funding a college education will take a well balanced program of grants, scholarships, personal savings and college loans. Tuition costs are expensive, and no student is likely to be able to pay for their college education out of pocket. After all of your grants and scholarships are tallied, you will likely need to consider some form of student loan to bridge any gaps left in your college funding. Luckily, student loans, and Federal student loans in particular, offer a greater flexibility than any other loan on the market. College students will be intent on their studies for at least two years. Most students will likely be in school for four or more years. Consequently, loan providers offer students grace periods which allow them to postpone their repayment obligations until after graduation. These grace periods, or loan deferment plans, allow students to concentrate on their studies, graduate and find employment before beginning to repay their student loans. All Federal student loans, subsidized or unsubsidized, offer students a grace period in which they do not have to make payments against their education loan. These deferment plans allow students to postpone any repayments on their federally guaranteed loans until at least six months following graduation, leaving school or dropping below half-time enrollment. The only federal student loan exempt from this grace period is the Federal Direct PLUS Loan for Parents. Parents who receive a PLUS loan must begin repayment immediately after the loan money has been disbursed. Students receiving federal loans should be cognizant of whether or not their loan is subsidized or unsubsidized, as this will greatly affect the total amount they owe following graduation. If the loan is subsidize, this means that the interest accruing on your student loan while you are in school is paid by the federal government. When you begin the repayment schedule on your subsidized student loan you will only be responsible for the original principle. Students holding unsubsidized federal education loans must be aware that the accruing interest on their loans will be their responsibility when they begin their repayment schedule. If you take advantage of the allowed grace period on your federal loan, you must understand that the loan is continuing to build interest. When you graduate and begin making payments against your student loan, you will be responsible for all interest that has accrued in addition to the principle. Federal loans offer students a grace period following graduation before they must begin payment on their outstanding loans. During this grace period you will receive repayment instructions, outlining your monthly payment schedule and reminding you when your first payment is due. Following graduation, or if you leave school for any other reason, be sure to make a note of exactly how long your grace period will be. The Federal Stafford Loan provides students with a six month grace period following graduation, while the Federal Perkins loan allows for a nine month grace period. All of the details concerning your loan deferment, repayment obligations and allowable grace period can be found on the promissory note which you signed when you accepted the loan. Unfortunately, it sometimes happens that students find it difficult to find work immediately following graduation and find it impossible to make payments against their federal loans. Other financial challenges may also make it difficult for student to maintain their payment schedule. When this occurs, it is possible for students to receive a deferment or to qualify for a forbearance on certain government loans. Qualifying borrowers can receive a further six month's to a year's grace before recommencing their repayment plans. Deferments may also be granted if a student returns to school to complete another level of their education. Students holding federal loans must confirm that their deferment has been granted before they stop making payments on any outstanding student loan. Ceasing payments before your deferment has been granted will result in your loan going into default. At all costs students should avoid default proceeding, as this will seriously damage their credit and will make it impossible to qualify for any additional student loans. During their student loan grace period, many students consider consolidation as a way to reduce their monthly payments and to more easily manage their debt responsibilities. Loan consolidation allows students to combine multiple student loans into a single, more easily managed, loan package. By consolidating you federal student loans you can reduce your payment obligations to a single monthly bill, often while securing your new loan at a more attractive low fixed interest rate. Students considering loan consolidation should be aware that not all education loans can be consolidated. Some loans forbid consolidation outright, while others simply can not be consolidated with loans from different sources. 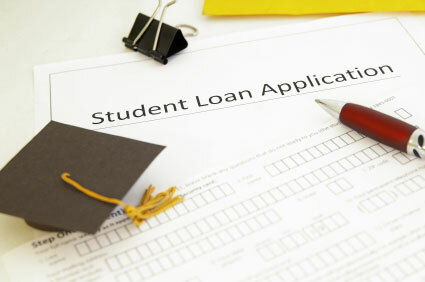 Consult your loan officer, and your loan agreement to learn if you are eligible for student loan consolidation.